Venice, the 4th most visited city in Europe (15 million visitors a year) is today faced with one of the greatest challenges in its history. Global warming, collapsing foundations, mass tourism and forced industrialisation: the city is attacked from all sides and risks sinking. Everything has accelerated these last 50 years. The water level has risen by 30 cm and the “acqua alta” phenomenon – the high tides that flood the city – has intensified. 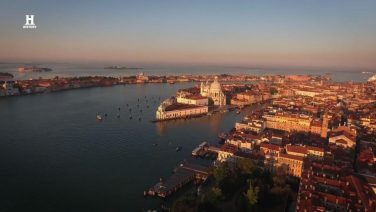 Saving Venice is now a priority for the scientific community. They are the chemists, biologists, engineers, meteorologists or diver masons that we meet in this film. Immersed in the heart of their open-air laboratory, they tell us of their technological battle. With the help of 3D models, we gain access to the construction of Venice, from its origins to the ultramodern techniques of the MOSE project: giant mobile floodgates intended to block the rising waters, costing over 6 billion Euros. We discover the manufacture of new cements, capable of resisting the onslaught of salt, as well as the ancestral methods for restoring the natural environment of the lagoon, the ecosystem of the city of the Doges. 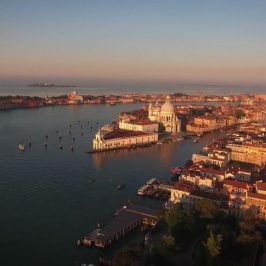 A feat of technology and human ingenuity at its beginnings, Venice today is a new prototype, whose technical and scientific discoveries are scrutinised by laboratories around the world.